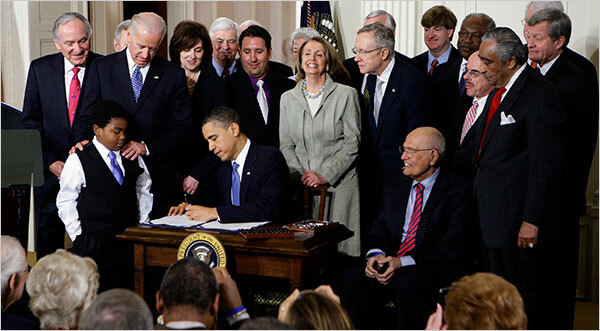 The Affordable Care Act, President Barack Obama signature health care program may be on its way out. But it is not quite certain yet. Some news reports said on Tuesday, that The Republican Party has fashioned a replacement for it. Have they or are they still in the process of agreeing on what is touted as a replacement? The question arises, because the news report says further that there is a disagreement of some sort among the Republican Party members in the Congress, over the content of the legislation, which is said to have the approval of Speaker Paul Ryan. According to news reports, Senator Rand Paul is said to have described the new health legislation under consideration, planned to replace Obamacare as a new version of Obamacare, because according to him, he is advocating a complete change in the content of any health legislation, which his party should be introducing to replace ObamaCare. Sometime last week, some reports said that some members of the Republican Party in the Congress were busy crafting a legislation to replace ObamaCare, and that they kept a seal on their plans from other members of the party in the Congress, and that the development infuriated Senator Paul and he showed his vehemence. He said that he least expected his colleagues in the Congress to repeat the mistake the Democratic Party made, when they crafted ObamaCare in secrecy. Therefore, he wanted everything being done by his party in the open. It will be recalled that Senator Paul was the first member of Congress, who said he had a replacement for ObamaCare. How his planned legislation lost momentum among his colleagues and he became a stranger in the crafting of the replacement legislation may belong to the party politics within his party. Back to how ObamaCare entered the butchers' table. Some Republican Party members in the Congress and their surrogates in the Conservative media are hailing the proposed legislation, while some of the are calling as dead on arrival. The Fox News presents what it calls highlights of House GOP ObamaCare Replacement Bill. There is a general agreement among Americans that something needs to be done to save Americans from the problems arising from Obamacare. President Obama himself said that the problem with ObamaCare is the Congress unwillingness to legislate to fix the program, according to the Daily News. Many people think wrongly that repealing and replacing ObamaCare is being done as vendetta against the former president and his part.y. The fact is that ObamaCare suddenly became a problem, not only to the country, but to the former president's party as well, because of its rising cost and its failing to meet the description of affordability, among other factors. It became a subject of political campaign. The health care program suddenly became part of the problems, which Hillary Clinton, needed to explain to Americans, the reason they needed to vote for her to keep the program. President Obama also campaigned with zeal and vigor for Clinton to be his successor toward saving ObamaCare. It is true that ObamaCare has become a problem, which its architects have not intended it to be. But instead of admitting the problem, which the program has become, the Democratic Party members, including the former president and Clinton, believe they can convince Americans to the contrary. And that explains part of the failings of the party in the last election. Even now, the new legislation said to be about to be presented in the Congress is said retain certain content of the ObamaCare, which President Donald Trump says are helpful to Americans, against the wish of hardliners in his party that the entire ObamaCare be completely discarded.